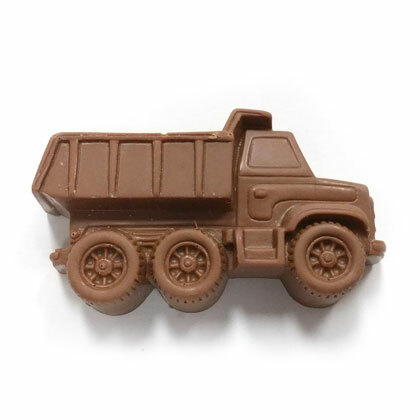 A fun dump truck or Mack truck design. 3.5 ounces. Solid milk chocolate. Approx. 3 inches tall and across. Individually wrapped. Kosher certified.